Adobe Dreamweaver CC is a popular visual development tool for designing, publishing and managing websites. It offers a lot of power and flexibility for both designers and developers. Dreamweaver's many features make it intimidating for beginners, but Adobe's onboarding experience is designed to help people new to the program get started. The software's advanced features make it possible to go from beginning web designer to professional in a short period. Because Dreamweaver is WYSIWYG (what you see is what you get) software, you can opt to design visually or with code. Before you write code, Dreamweaver encourages users to understand the different design techniques necessary when displaying content across mobile phones, tablets, and desktop browsers. Developers who work on websites for both computers and mobile platforms can preview their sites on multiple devices at the same time to see the effects of their page edits in real time. In addition to these tutorials (and many others), Adobe hosts a Dreamweaver beginners forum. 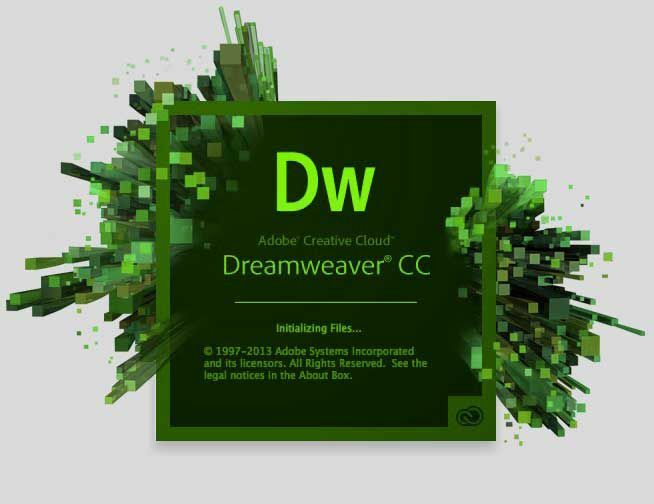 Dreamweaver CC is available only by subscription as part of Adobe Creative Cloud on a monthly or annual plan. You can opt to subscribe only to Dreamweaver using a monthly or annual plan. The plans include the most current version of the software, 100GB of cloud storage for your files, your own portfolio website, premium fonts, and social media tools. Dreamweaver is also available as part of an All Apps subscription that includes more than 20 apps including Photoshop CC, Illustrator CC, and Adobe XD CC. Adobe offers a seven-day free trial of Dreamweaver. No credit card is required.